Join the Visionary list for Special Events and Offers from our Advertisers. 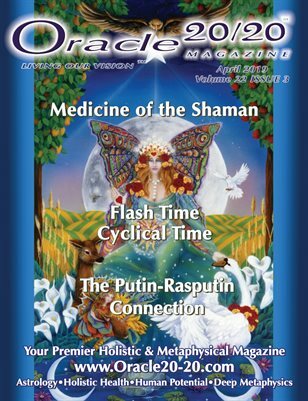 A most interesting mix of articles, including information on: natural health and healing, astrology, ancient places of power and mystery, philosophy, hypnotherapy, personal freedom issues, shamanism, first person stories from our readers and more. If it defies thinking inside the box you will likely find it in Oracle 20/20 Magazine. Copyright © 2019 Oracle 20/20 Magazine - All Rights Reserved. Content and Images may not be reproduced without written consent. Header art: Isis © Victoria Moore and Perseus © Lisa Iris - Used with Permission. WordPress Theme configured by IndigoDragon Studios.